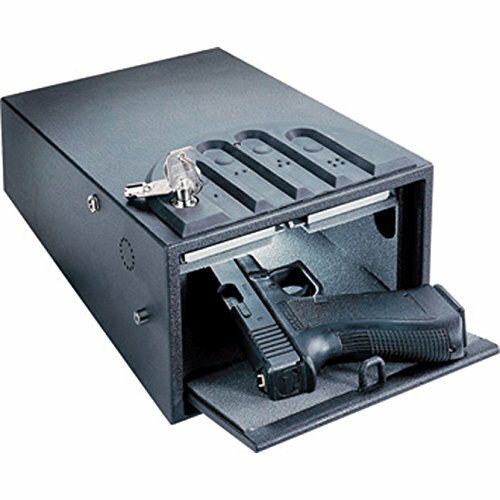 Some conventional safes are large enough to hold long guns in and such safes provide an extremely high level of protection security. Most of the best large gun safes are usually fire-proof and extremely well created. Nevertheless, as a vault, big safes can be pricey and difficult to obtain the right style (shape and size) to both perfectly fit within your space and be high enough to hold weapons. If you are interested in locking up several firearms, long rifles, as well as other belongings, conventional stand-up types will be your perfect choice. 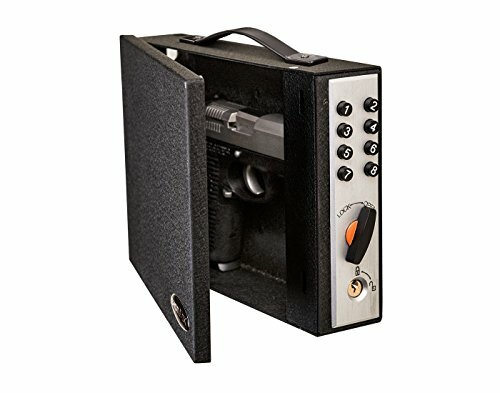 They are usually more expensive than smaller gun-safes but due to their spacious storing potential, as well as solid construction, your number one pick will be worth your every buck. 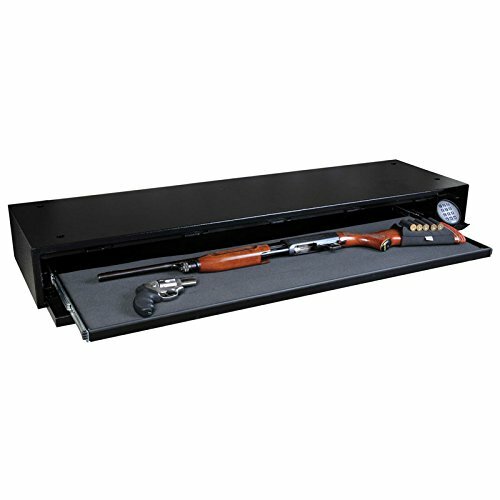 Feel free to browse below, and hopefully you’ll find the best long gun safe that fits perfectly into your designated room. Here we have one of the least expensive gun safe on the market today. It is the next upgraded version from the famous 8-Gun from Stack-On. However, this device is better and more quality constructed. There will be plenty of space in this safe, and you will have adequate space to store all your long guns and other valuable. On top of that, there is a split shelf to help you to organize the space to your needs. Current owners mention that they particularly enjoy the two storage spaces that you can separate and customize. That way, you won’t have to share your keys as each storage will have their own keys. You can have one key to access your pistols, another for your long guns and so on. This is a great way if you have to share the safe with someone, and you want to limit the access by giving different individuals access to some part of the safe. It comes with four rugged compartments and also room for about 10 rifles. The whole interior is padded with carpet so your weapons won’t get any scratches. Furthermore, there are molded sockets that are supposed to keep your firearms securely stuck when you need to access other things inside the safe. 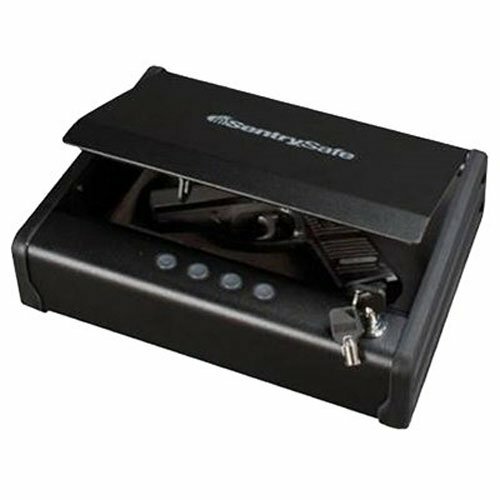 Similar to the top-rated gun safes, this comes with a three-way locking system and to add more protection, there is an un-drillable plate hidden to prevent anyone from altering the locking mechanism. Have in mind that at this price, you won’t find any high-quality fireproof or waterproof gun safe, and that’s the case with this one. Having said that, if you don’t mind the fireproof rating and just want a safe that will keep your stuff securely locked in, then have a go at this model. First item on our list is this brilliant fireproof safe. It’s very reasonably priced and is the ideal solution for those who are on a tight budget. It offers ample storage space for such a budget friendly gun safe. You will be able to store wide range of rifles (and/or pistols), and it has a very beautiful, yet simple design with rugged interiors to protect your rifles from scratches. Don’t let the price scare you away because it will be hard to find such as quality built gun safe at this price. If you have been comparing different gun safes, you most likely have noticed that this particular model is about 50% cheaper than its rival competitor Mesa. However, cheap does not mean bad, and with this gun safe, you’ll be able to enjoy more than enough room for your long rifles besides other belongings (around 14 guns) plus you can customize the storage space by removing or the shelves. The locking system is a no-brainier and consists of a big combination dial. The opening process is dead easy and all you have to do scroll the correct code, and then you grab the sturdy handle and retract to gain access to the safe. You won’t have to deal with any electronic system or any biometric problems. It doesn’t get any easier, just turning the combination dial and then open the safe with the handle without having to deal with any technical stuff. This safe is tested to withstand exposure to fire for around 30 minutes. On the other hand, you should keep in mind that this safe is not waterproof and being able to hold up against fire for half hour makes it a basic fireproof rating. Here we have a monster unit that is probably the very best gun safe on the market today. You won’t be disappointed with this one. It is a bit pricey but well worth your money. This unit is packed with security features to ensure that every item is safely stored. Not only does it deliver security like no other safe, but also it has lots of space for all your firearms. This unit a bit on the heavy side, around 650 pounds (295kg) so no one will be able to run away with this safe with the intention to crack it open later on. For added security, The Mesa team made sure you are able to bolt down the safe easily using the holes that are already drilled. As I did mention above, this unit is probably the number one top-security gun safe you can get your hands on. It will be a real headache for anyone who tries to break-into the safe. To safely protect the locking system, there is a heavy-duty metal plate that can withstand any drill. Moreover, the rugged bolts are whooping 1.5in thick, which is something you won’t see in other safes. 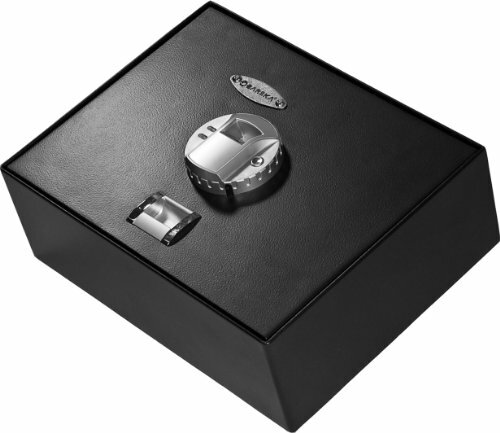 To add even more protection, this safe is fire resistant and not like many other cheaper gun safes out there that are regulated to withstand fire for 30minutes. This tank is guaranteed to withstand 1750 degrees Fahrenheit for 1 hour (higher temperature rating than the majority of its competitors). To open the safe, the locking system is digital and comes with a programmable combination dial. Once you dial the access code, you unlock the sturdy handle, and you are able to crank back the five heavy-duty bolts to access your firearms. If anyone tries to alter the digital lock, it will trigger another safety mechanism to kick-in in order to make sure that no one can break into the safe. This is most definitely the very best large gun safe that you can find. You can stack up to 30 long guns and adjustable shelves so you can customize it to your needs. It is beautifully rugged on the inside, and the Mesa team stands by their products 100% and provide a life time warranty on this unit. Here we have another Mesa product, but here is a safe for those who are in search for a budget-friendly Mesa safe. It will be close to impossible to find a more spacious gun safe at this price range. You will be able to stack up to 16 long guns, and this unit features more advanced locking mechanism than other cheaper brands on the market. In the event that you might own many guns and you are on a tight-budge, then this is an excellent option to consider. As opposed to cheap brands out there, The Mesa fulfills the California Department of Justice’s approval. It doesn’t even matter if you don’t live in CA, the CDJ approval is a valuable rating, and this gun fulfills the top-grade requirement. If we look at the qualities that make this one of the highly sought-out and economical gun safe, it all boils down to how the locking mechanism is constructed. This particular model offers more security, and the quality steel construction makes this unit more popular than any other budget-friendly Stack-On. It features six locking pins, making it more than double of most similarly priced unit offer. Moreover, 1″ thick bolts will ensure that your items are securely stored. To offer even more protection, the hinges contain built-in steel bolts. And if that’s not safe enough, the StackOn contains a special and sturdy steel plate that will withstand any drill, in order to prevent anyone from altering with the locking system. If you are on the look-out for an economical electric combination locking mechanism, then this product is ideal for you. Electronic combination will provide more security than any key will (as long as you keep the code to yourself) since it’s impossible to copy any key that is not in use. This is probably the best product you can get at this price level. It is beautifully rugged with a neat carpeted interior to protect your stuff from scratches. In addition, it has custom-fit rifle holders. Everything you need is included in your purchase, even hooks! 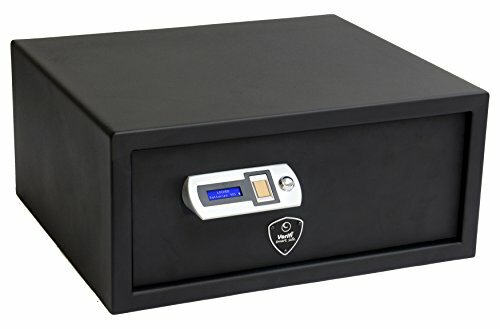 Next on the list is a quality safe from Mesa that easily compares to other safes that are priced well over the 1k mark. This monster steel safe is 1.5inch thick and 500 pounds so it will be hard to remove the safe without using moving tools. Current owners are extremely happy with the quality construction and the weight. They like the fact that you can bolt it down to concrete floor, and you will receive all the hardware you need to bolt it down. Those who purchased this model are also very happy with all the security bells and whistles. It is fireproof and was designed to withstand fire max 1hr up to 350°F scale. This is an electronic lock combination system that has a back-up security feature that works as a manual re-lock mechanism and kicks-in if somebody tries to alter or drill through the lock. It is like having a bank vault in your room, with modern lock mechanism and a brass handle to rotate to access the safe. Few gun owners did mention that it is close to impossible to stack-up 14 guns inside this safe, and although it is advertised to store 14 long guns, it is more likely to hold up-to 10 rifles. Our last item on the list is a very practical and secure gun safe. Here we have another affordable and highly recommended model for many reasons. First off, it is constructed exactly like a proper gun safe and not locking container. It features completely welded hinges that make it close to impossible to crack open. It also features a 3-way locking system to ensure that all door areas completely locked. Even there is a steel plate that prevents anyone from prying the lock. Moreover, there is a security lock that is intended to keep thieves away from keyhole pick. Additionally, It is built in a way that you can bolt it the concrete floor without any hassle. You won’t struggle with any tools to set-up the safe because included are all tools you will need to get the job done. 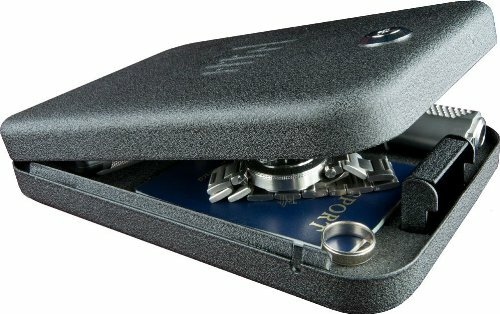 This is the smallest long safe on the list, but “small” doesn’t mean “bad”. You will enjoy more than enough space for several long guns. There is space for five big guns. The interior is rugged so your weapons won’t pick up any scratch when you need to move them around the safe. Additionally, there is a top-shelf that you can use to store any other small equipment you own. The only disadvantage of this brilliant safe lies in the fact that it weighs only 60 pounds (27kg). Therefore, it is important, if you opt-in for this one, that you bolt it thoroughly to a concrete floor for added safety. Here is another budget-friendly gun safe. You will be able to store up to 24 weapons, and you will have more than enough room to store your other items as well. 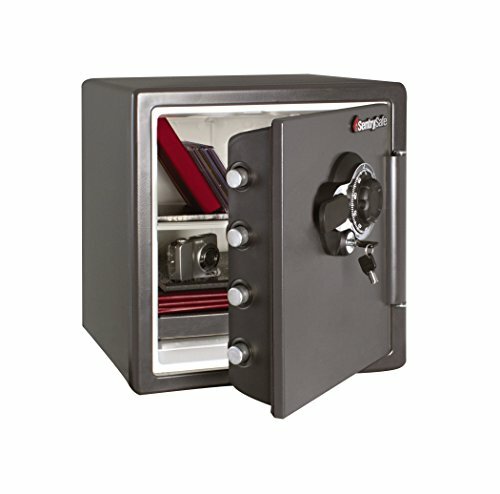 You won’t find many quality safes in this size at this price. It has an elegant old-school design and features an electric combination dial pad. Still, this safe will stack-up beautifully in any room as this model has its retro-style ,bank vault look. Given that you most likely will not be capable of hide and cover it in your closet or drawer, and you will be forced to look at this safe for many years to come in your home, then this is perfect investment because of its great aesthetic. Basically, this safe will bring elegance with its stylish look, to your home. You will also be pleasantly surprised once you handle the bolts. They are a massive 1.5″ inch thick and will, without a doubt, make it a real headache for any motivated burglars. One of the best features of this item is how you can customize it to your own needs and style. There are few options you have for storage. You can use the roomy space storage to stack up your weapons. Another way of customizing the space is to use a split shelf. Using a splitter allows you to use one side for your long firearms while storing small weapons in the other half. There is also a brilliantly designed net that hangs inside the door and this storage is intended for pistols and other small weapons. Your stuff is safely protected from scratches and dings as the interior is completely rugged. 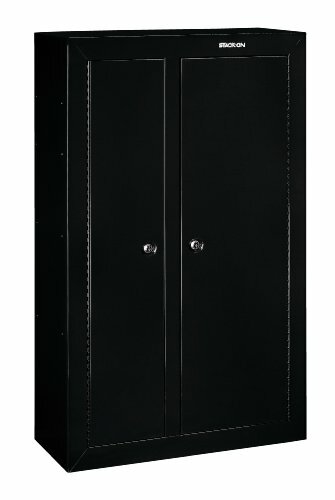 Have a look at this safe if you want a budget-friendly and quality built gun safe. Next item on the list is a quality built Stack-On product that is the perfect option for those who are interested in a quality gun safe, built with premium steel, to store their weapons. This unit is probably the gun safe, in terms of security, in the market today. Current owners are extremely happy about the fact that it’s very spacious. You’ll be able to store your long guns along with smaller firearms. This unit is perfect for you, in case you are looking to purchase a large gun safe to stack up your rifles. 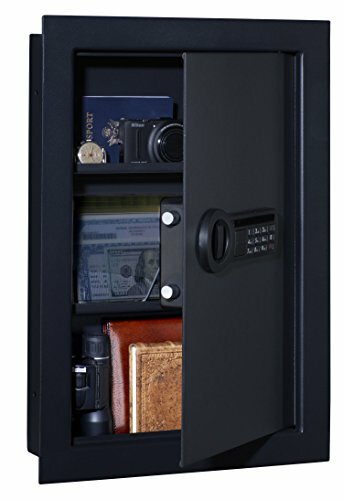 As with most of the StackOn gun safes, they are very spacious and ample but very cost-effective. Hence, making it an ideal option for those who like a roomy and budget-friendly gun safe. It can store up to 28 weapons, and the storage shelves can be removed for additional space if you prefer. It’s both waterproof and fireproof and should hold up against fire for about an hour up to 1.400 degrees Fahrenheit. Moreover, it is built to protect everything stored inside from water damages. You won’t find many quality gun safes like this one. But, this one is a monster unit and comes with a price. It’s both water and fire resistant. If you live in an area where you can expect hurricanes or floods, and you plan to bolt the safe down in your basement, then this is your ideal safe to protect your vulnerable items from water damages. The StackOn comes with a storage rack that is ideal to store your smaller firearms like pistols or other smaller items. Moreover, you can apply a humidifier into the safe, there is an outlet for power located at the rear of the safe that makes this process dead easy. If you need a roomy gun safe at a reasonable price, then I strongly suggest you consider this product. 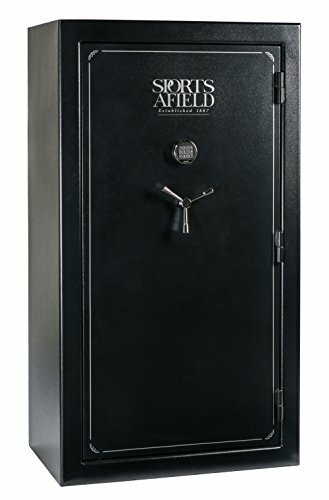 This safe has quality written all over it, huge storage space, fire and water resistant and plenty of space to protect other items like documents and/or smaller weapons. If you need more space, then you can simply remove the shelves and customize the safe to your needs. On the subject of protecting your guns as well as your other belongings, it’s evident that you are not willing to completely empty your wallet. Furthermore, you wouldn’t want to save few bucks and end up with a gun safe that does not meet your demands. Long gun safes can get very expensive. It’s so easy to spend $4,000 on a superb, highly-rated gun safe. However, the reality is that most of us can’t afford to fork out 3-4 thousand dollars to protect our firearms. Although bigger safes are more expensive, I advise you to get a full-sized long gun safe if you have a rifle or a collection of shotguns along with smaller firearms. 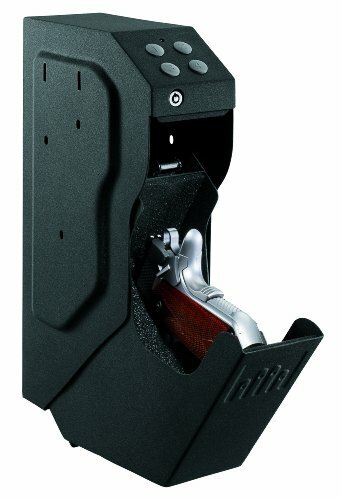 The truth is that long gun safes are the real deal when comes to security, and they have the highest fire ratings. However, the most important thing is, they protect you and your family by avoiding your weapons from falling into the wrong hands. 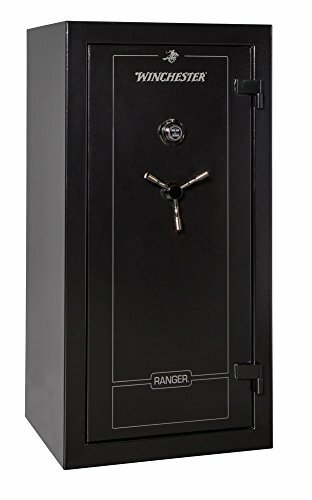 As you have noticed by now, after browsing through this website, you can find many different long gun safes that are very reasonably priced. With that in mind, if you’re able to invest a little bit more, you will see products with many great security features. Furthermore, have in mind that the heavier, the more expensive but heavier is always better in terms of security and quality construction. 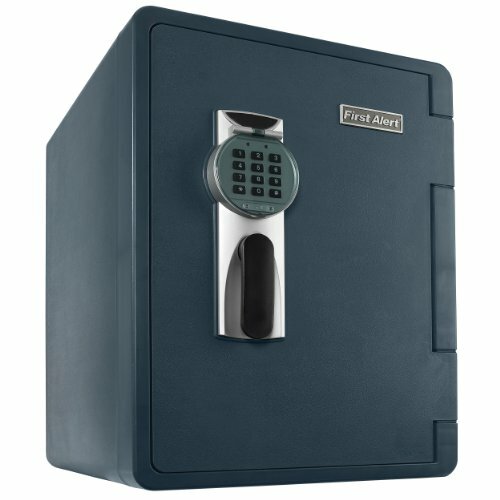 You can find many gun safes here above for around the 500 mark, and some around the 1000 mark, but you won’t find any gun safe here that will completely break your bank. 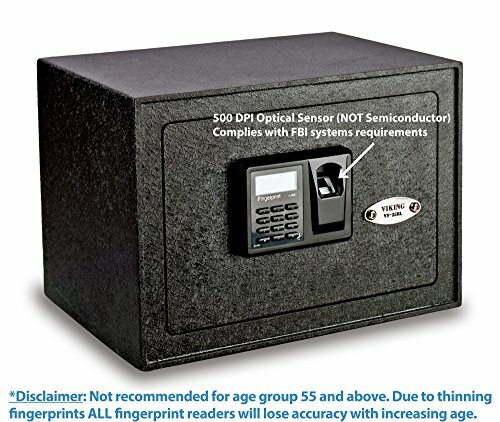 When I bought my first gun safe, I took into account user reviews, security, size, features and of course price, and you should consider these important factors. That way, you will eventually find your perfect gun safe that meets your demands and needs.